We’re so confident in Upbra’s fit and comfort that we offer free returns and exchanges on domestic orders. Post Yourself in the Upbra Bra or Swim on Instagram and #UPBRA to be featured! We're confident that your Upbra® bra will fit great and make you feel amazing, or we'll make it right. We offer free and easy returns and exchanges for domestic orders. What Makes Upbra So Amazing? Now you can set the degree of lift and cleavage that you want, whenever you want it! Our mission at Upbra is to help you feel your most beautiful. No pads. No surgery. Just revolutionary platforms within the cups to give you the support you need, and the lift and cleavage you want. And it’s all you! Does your bra make you feel your best? Be the first to know about the latest styles, deals, and more! What will Upbra® do for you? 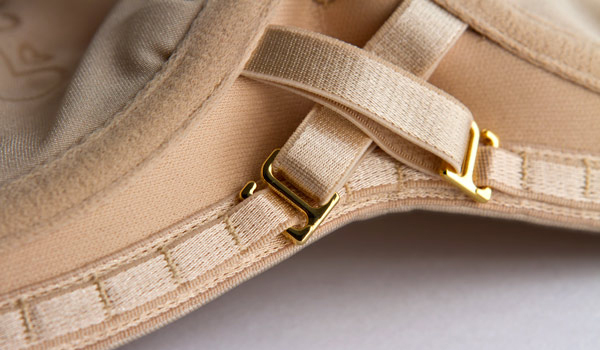 Designed to give women with smaller breasts the cleavage that they never thought possible. Designed to give women with larger breasts the lift that they have always wanted. The ActiveLift technology plus special wings of Upbra® Stay-Up Strapless bras keeps your bra and cleavage in place all day. Upbra® - It's up to you how far you take it... or it takes you! "I was hesitant to try an Upbra because it seemed impossible for the claims to be true. I kept seeing videos on youtube and finally took the leap of faith and purchased one online. Now that I've received it I can honestly say this is the best bra I've ever worn." - Autumn D.
"I have spent years looking for good bras that would fit me properly. I ordered the Upbra with low expectations, but amazingly it fit perfectly. I do not mind spending more in order to get a perfect fit, and have ordered 2 more. I am a loyal customer forever. Thank you for giving me comfort and fit at last." - Rossanna T.
"I'm a smaller breasted woman & I like the extra boost that I received from this bra. The bra was very comfortable & that's alot to be said for a bra. I liked that the strap in the back had 4 options for the fit. Very nice bra. I feel you get what you pay for & w/this bra it was WELL WORTH THE MONEY." - Christine B. The Upbra team focuses on creating high-quality performance luxury bras that make you look and feel your most beautiful. We are committed to giving our customers the most helpful and informative services to assist them with their buying experience, so don't hesitate to contact us - the Upbra team is here for you!